A group is meant to be a close circle of people who keep in touch and share on Facebook. In my humble opinion, there is no "Wrong" topic for a group, it all depends on the reason for which it was created. From your "home page" on Facebook, go to the ''Groups'' section on the left side menu and find "Add Group". The number of things you have in your ''Favorites'' will determine how far down you have to scroll to see this. 2. Click on "Create New Group"
You'll be taken to a page that displays the option to create a group which also shows you some suggested groups to join. Begin the process of creating a group by clicking on "Create New Group". On the right hand side of the "Create New Group" button you'll notice options to choose "Group Ideas" By clicking on any of these selections (Family, Classmates, Sports Teams or Book Club), you're immediately taken to the ''create screen'' just like if you clicked "Create New Group". The first thing you need to do is give your group a name. This name can be whatever you want, and you can change it later but try to create a memorable & searchable name for your group so people can find it. So in order to create your group, you'll need to add at least 1 friend to the group. You will need to decide what privacy setting you want your group to have. This is probably the most essential choice you will make while creating your group as there are some limits to changing it as you progress. If you have less than 250 members, you will be able to change the privacy settings as you see fit, but as soon as your groups grows to over 250 members, you can only change an ''Open group" to a "Closed'' or ''Secret'', and a ''Closed group'' to ''Secret''. You won't be able to change the privacy again after this. There can be confusion about what privacy setting a group should have -- Open, Closed or Secret. Facebook will now give you the option to choose from a wide array of creative graphics for your icon/avatar. 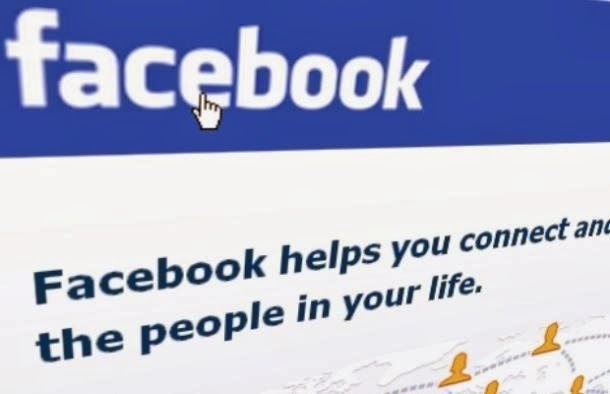 This is completely up to you and bears no significance as far as Facebook is concerned but if you've created many groups or have multiple groups in your favorites, you'll want to choose an icon you can easily identify. Your group is now officially created! There are, however, a few more items you can customize. So fill it out as you see fit, seeing as this is YOUR group. *Keep in mind the dimensions for this cover photo are different from those on your personal Timeline or business Timeline -- they are 801 x 250 pixels. Membership Approval -- Do you want to let anyone add members or should only you be able to? Once you're done & happy with the settings, click "Save". You're Group is Ready to Go! You've now successfully created a Facebook Group!! Now you can post updates inside the groups -- and so can members (if you've allowed it). 1. Notifications- As an admin you should probably turn the notifications on to receive all updates when anyone posts -- just in case someone spams the group & you want to respond quickly. 2. Messages/Chat- One of the great things about groups is you can initiate a group chat/message with either all members of a group or select members. This is especially useful when you have an announcement to make or need to quickly collaborate on an item/issue. 3. Events- A feature probably not used often enough in Groups is Events. Inside the group you can create events that only members can see & RSVP for. Just click on the "Events" tab & then "Create Event" and a lightbox will load to create your event. 4. Files- Inside groups you can share files of any kind as well as create Documents which group members can add to & collaborate on. Think of this as your own little workspace within Facebook -- or perhaps a replacement for apps like Basecamp or Dropbox. Now that you've read this post, hopefully you can now successfully create a group on your own.